Many new husbands out there may have heard the old saying “Happy wife, happy life,” but a new study lends the old axiom some extra legitimacy. 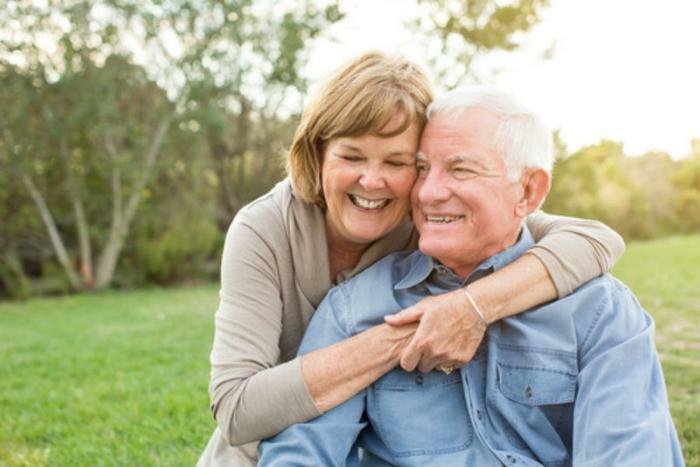 Researchers with the American Psychological Association (APA) have found that having a happy spouse can actually lead to health benefits in middle-aged and older couples. The study used a nationally representative sample of nearly 2,000 heterosexual couples and found a link between happiness in marriage and better health outcomes. "This finding significantly broadens assumptions about the relationship between happiness and health, suggesting a unique social link," said William Chopik, PhD, an assistant professor of psychology at Michigan State University and principal investigator of the study. "Simply having a happy partner may enhance health as much as striving to be happy oneself." Happy partners may get unhappy people involved with activities and environments that promote good health, such as maintaining regular sleep cycles, eating nutritious food, and exercising. The researchers also found that happiness had a large influence on whether or not a person engaged in unhealthy activities or habits. By foregoing certain vices, like smoking or drinking, due to stress and unhappiness, happy couples are able to stave off medical problems that they may otherwise need to address. "Simply knowing that one's partner is satisfied with his or her individual circumstances may temper a person's need to seek self-destructive outlets, such as drinking or drugs, and may more generally offer contentment in ways that afford health benefits down the road," Chopik said. The full study has been published in the journal Health Psychology.